What is TRIZ (Theory of Inventive Problem Solving)? Theory of Inventive Problem Solving (TRIZ) refers to a problem solving method which is fully based on data, research and logic not on instincts and intuition. It offers solutions to specific problems by taking a look into the previous knowledge, creativity and ingenuity of thousands of engineers in accelerating the ability of a project team to creatively solve problems. TRIZ for engineers and manufacturing professionals is proven to be more useful because of the ability of this method to help these professionals in dealing with their problems in the most efficient and effective manner possible. It is also capable of bringing in reliability, repeatability and predictability to the entire problem solving process through its algorithmic and structured approach. TRIZ was actually developed in between the years of 1946 and 1985 by G.S Altshuller and his former USSR colleagues and since then it has never failed to capture the attention of professionals because of its effectiveness in the field of problem-solving. Over three million patterns have undergone analysis as a means of discovering the specific patterns that work in predicting breakthrough solutions to certain problems and these are already codified within the method. The effectiveness of TRIZ is the major reason why the use of it is already widespread at present. You can expect this method to be extremely useful in risk management systems, project management systems, Six Sigma processes and in any other organizational innovation initiatives. 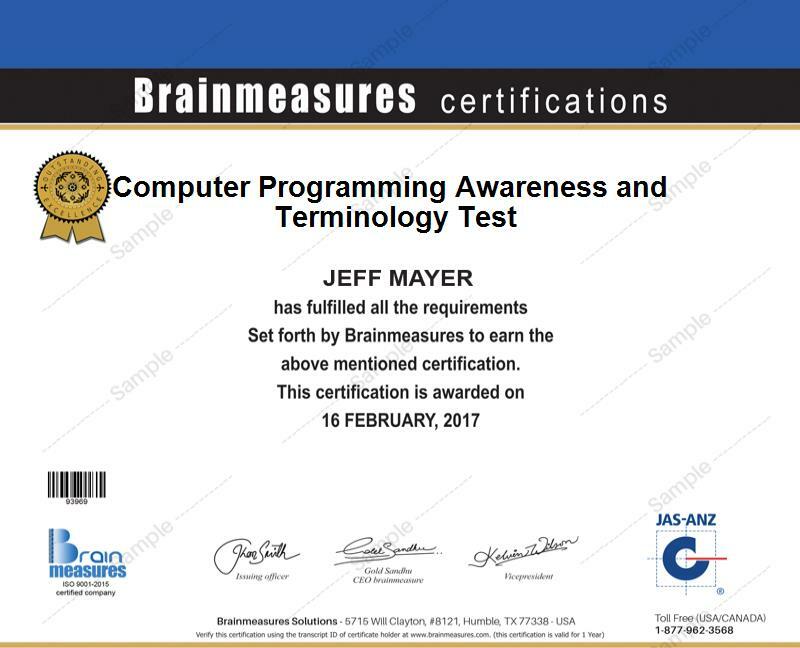 Learning more about TRIZ is no longer impossible with the existence of the TRIZ certification program which is now offered by Brainmeasures. With the help of the TRIZ course offered by Brainmeasures, you get the chance to understand everything about the entire method, its history and the concepts and principles behind it. Enrolling in this certification course increases your chances of enjoying a more comprehensive TRIZ training which can offer you a more detailed background about various TRIZ applications and the many steps and procedures that you need to follow in order to use the methodology in solving problems and conflicts in various industries. The TRIZ certification course from Brainmeasures makes it a point to highlight all the essential principles, theories and concepts behind the process so starting to take advantage of it after receiving your certificate will become easier. Because of the proven effectiveness of the TRIZ methodology in the field of problem solving based on facts, not on intuition, it is highly beneficial for you if you take part in a reliable TRIZ certification program. The certification course is actually suitable for you if you are a teacher, teacher trainer, educational administrator, policy maker, a professional responsible in engineering, quality, research and development, process design, product design, new process development and if you wish to finally hone your creativity, problem solving and problem management skills. Once you have received a TRIZ certification, you have to take note that you can use it in increasing the level of your salary as well. Working as an expert in this field after receiving your TRIZ certification allows you to start earning within the range of $60,000 to $75,000. This can grow all the more in the following years as you gain more experience and you start showing various industries your skills and expertise in efficiently using the method.